BuffettsBooks.com may discontinue its hosting at anytime. Buffettsbooks.com is not responsible for any lost content that content that is needed for third party use in the event that the website is discontinued. 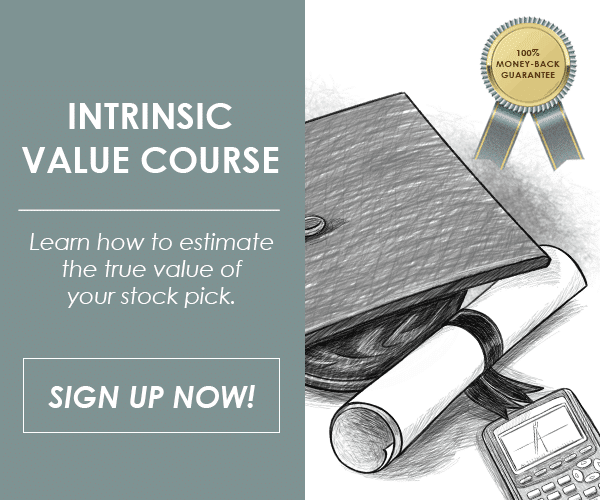 This website is not responsible for investment decisions made by users after they have completed partial or complete courses found on this site. This site is for entertainment only! The responsibility of the financial decisions made by the users/visitors of this site are completely at their own risk. Buffettsbooks.com is not responsible for any financial decisions of the visitors/users before/during/or after use. We do not provide information to children under the age of 18. If you would like to use this site and you are under that age, you need to have the supervision of an adult over the age of 18 – preferably a parent. This website does not provide individual or customized legal, tax, or investment services. Since each individual’s situation is unique, a qualified professional should be consulted before making financial decisions. We make no guarantees as to the accuracy, thoroughness or quality of the information on this website, which is provided only on an “AS-IS” and “AS AVAILABLE” basis at User’s sole risk. This information may be provide by third parties and BuffettsBooks shall not be responsible or liable for any errors, omissions or inaccuracies in the website content. The information and investment strategies provided at this site are neither comprehensive nor appropriate for every individual. It is your responsibility to determine whether, how and to what extent your intended use of the information and services will be technically and legally possible in the areas of the world where you intend to use them. The opinions and views expressed in any article or video on this website are solely those of the author(s). BuffettsBooks.com temporarily grants you a limited personal use license to access this content only through a web browser. Downloading and storing this content with the intent to distribute the information for personal gain is strictly prohibited. You may not reproduce, publish, translate, merge, sell, rent, distribute any of the content on this site. You man not frame or intend to frame any content on this website. This temporary license may be revoked at any time. Any testimonials or opinions provided on this website are that of the third parties. It is the responsibility of the User to evaluate Third Party Content. By posting or submitting any material, you will be (a) granting BuffettsBooks a world-wide fully paid-up non-exclusive license. BuffettsBooks can then edite and display the information in any manner it chooses (b) agreeing to indemnify and hold harmless BuffettsBooks and its Users from any claim or demand made by any third party due to or arising out of your materials, and (c) representing that you own or otherwise have the right to post the materials, that the materials on the BuffettsBooks website does not violate any laws, and that the materials will not cause injury to any person. BuffettsBooks shall have the right to use your name in connection with your posted materials. BuffettsBooks is not responsible for any viruses potentially received from use of this site. BuffettsBooks does not endorse any of the advertisers found throughout the site. As a convenience to Users, the BuffettsBooks provides links to other pages. This site is not responsible for any of the links that you may click on. Once you leave Buffettsbooks.com, you will fall under the new websites TOU. When you visit our website or send us email, our responses to your communications will be by e-mail. BuffettsBooks has the right to disclose any email sent by a User, or any objectionable material, to comply with legal process or to protect the rights or property of BuffettsBooks, its customers, suppliers and Users. All donations to the site are provided by the user with no strings attached. In order to keep BuffettsBooks a completely free website, donations are the primary source of funding. Donors will not receive anything in return for their donations other than continued access to the BuffettsBooks website – a service they already received before providing a donation. BuffettsBooks disclaims all warranties, representations and conditions of any kind, whether expressed or implied, including, but not limited to the implied warranties and conditions of merchantability, fitness for a particular purpose and non-infringement, with respect to the use of this website and its services, or the accuracy, completeness, timeliness or currentness of its content, in any way and for any purpose. In no event will BuffettsBooks be liable for any incidental, special, consequential, exemplary or indirect damages arising out of the use of or inability to use this website or any of its services or content, or loss of data, even if BuffettsBooks has been advised of the possibility of such damages, and whether based on contract, tort, negligence, product liability, strict liability or otherwise. Because some jurisdictions do not allow the disclaimer of warranties, or the exclusion or limitation of liability for consequential or incidental damages, in such jurisdictions BuffettsBooks’s liability is limited to the greatest extent permitted by law. These TOU, and any applicable TOS, constitute the entire agreement between each User and BuffettsBooks governing the User’s access to and use of the website and its services, and supersede all prior agreements regarding its subject matter. The TOU shall be governed by the laws of the state of Pennsylvania without giving effect to any principles of conflicts of laws. Each User hereby attorns and agrees to the non-exclusive jurisdiction of the courts Pennsylvania, USA. The failure by a User or BuffettsBooks to exercise any right or to enforce any provision of the TOU shall not constitute a waiver of such right or provision. If any provision of the TOU is found by a court of competent jurisdiction to be invalid or unenforceable, the court shall give effect to the intentions reflected in the provision to the degree possible, and the other provisions of the TOU will remain in full force and effect. It is the express will of BuffettsBooks and each User that the TOU be prepared in English.